Our Dewar Transmission/Reflection Accessory is useful for examining solid samples at temperatures ranging from -196°C to 350°C in a controlled environment. 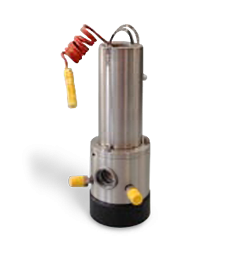 The cell is constructed of chemically resistant 316 stainless steel and features a K-type thermocouple for temperature measurement. A dewar is incorporated into this accessory for low temperature operation. 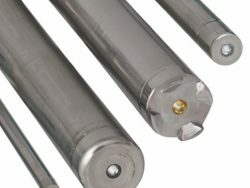 For high temperature operation, low voltage heaters are provided for use in conjunction with an appropriate controller, like the Harrick Temperature Controller. 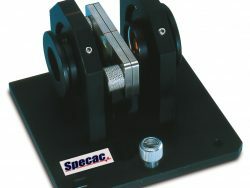 This accessory comes configured for transmission measurements, with a mount for the specified spectrometer. It can also be reconfigured for near-normal (12°) specular reflection with our Variable Angle Reflection Accessory. Chemically inert 316 stainless steel interior. Cold finger for coolant, e.g. liquid nitrogen or a dry ice and acetone mixture, for operation down to -196°C. Heaters for spectroscopy measurements up to 350°C. 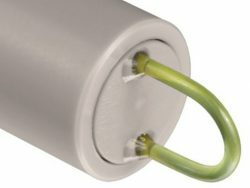 Accommodates transmission or external reflection samples 25mm in diameter and up to 35mm in length. Uses one 25x2mm or 25x4mm window and one 32x3mm window. Windows mount with O-ring seals. Two 1/4″ 316 stainless steel VCO fittings. Compatible with all FT-IR spectrometers and some UV-VIS spectrometers. 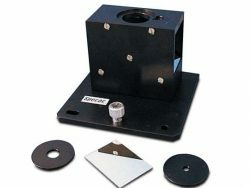 Use with Harrick’s Variable Angle Reflection Accessory for near-normal specular reflection measurements. Mounting hardware for the specified spectrometer for transmission measurements. Windows need to be ordered separately.